Set at the heart of the glorious 12,000 acre Goodwood Estate, the award-winning Goodwood Hotel is located immediately adjacent to the famous motor racing circuit, airfield and golf course in West Sussex. Indigo were invited to prepare a concept design to remodel the existing courtyard as part of a major upgrade of the hotel. The brief called for a covered walkway linking the reception area to accommodation wings, traversing significant level changes. 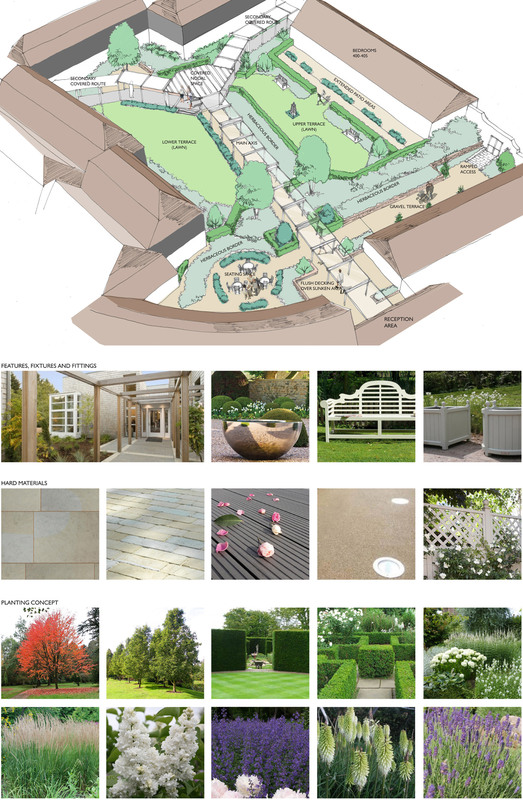 Access to the courtyard is severely restricted so our design, which creates a series of attractive outdoor rooms, was geared towards ease of construction, minimising material movements, and balancing cut and fill.